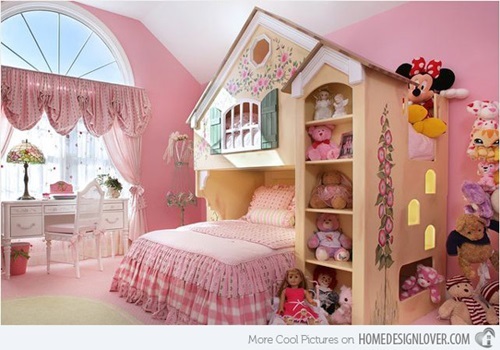 There are a lot of ideas and choices for girl’s bedroom designs. 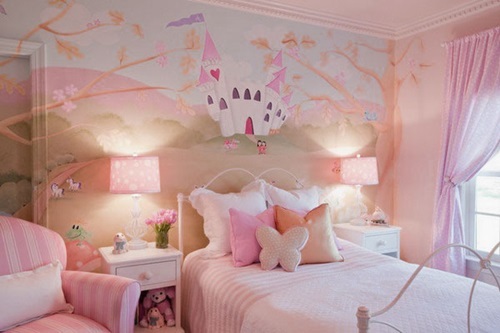 Every girl likes having color in her room but the quantity of the color must be perfect. Firstly select a theme for the design. 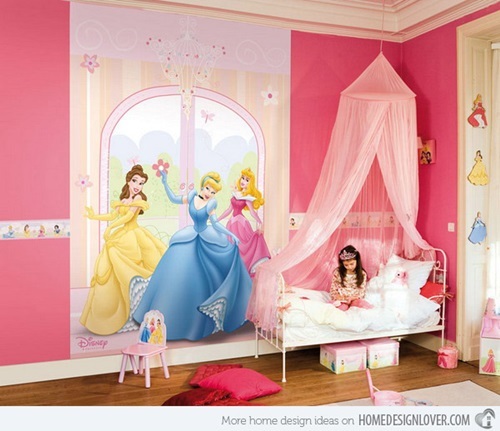 After selecting a theme you will know how to decorate the rest of the room. 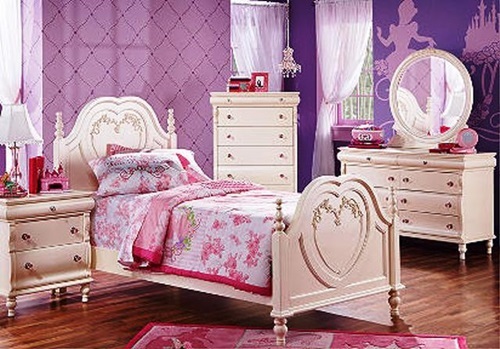 Now I am going to tell you about those themes and how you will use them designing your bedroom. 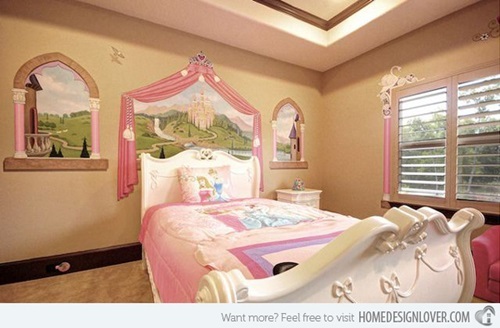 I will start with every little girl’s dream; the princess bedroom theme. 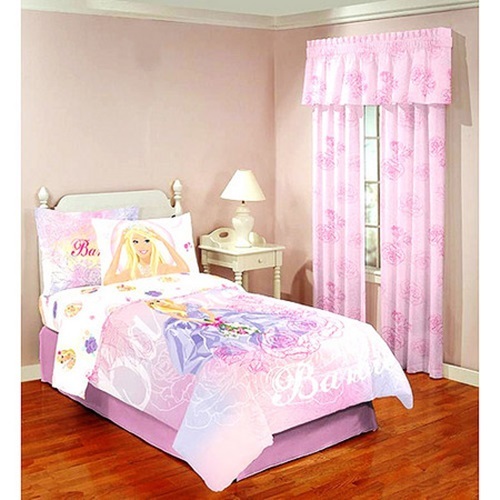 If it is one of the Disney princesses or another traditional one; you will find some available items for that. 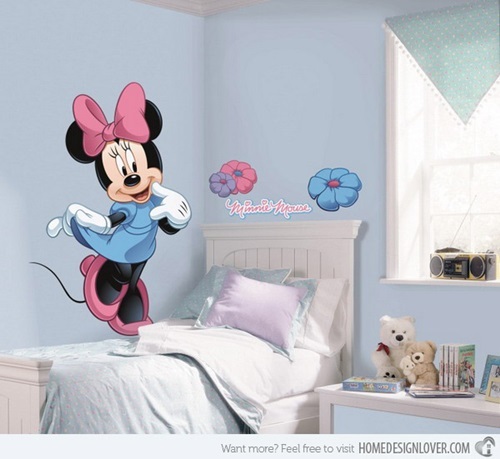 You will be able to find decals, lamps, wallpaper, and borders also a lot of other accessories. 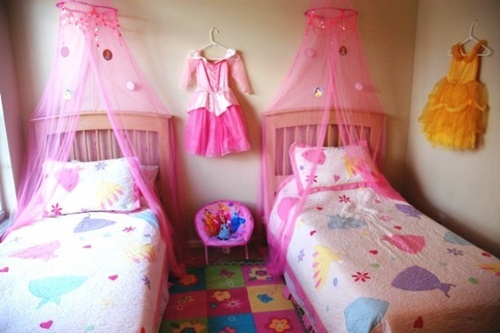 Buy lace curtains to surround the bed like the films. 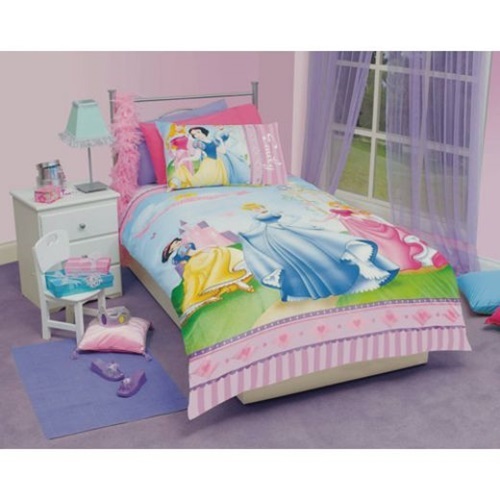 And there are a lot of bedding that have princess designs on them. Another theme is the color scheme. 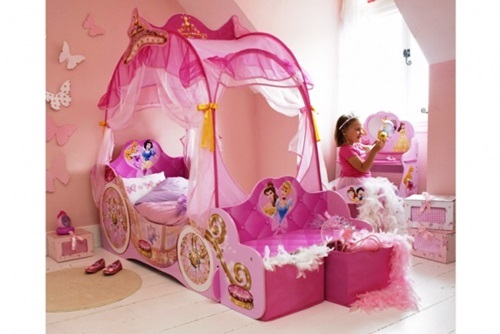 Girls prefer all shades of pink this is common between all the girls. You should include your kid in choosing the color of his room so, they don’t get mad. 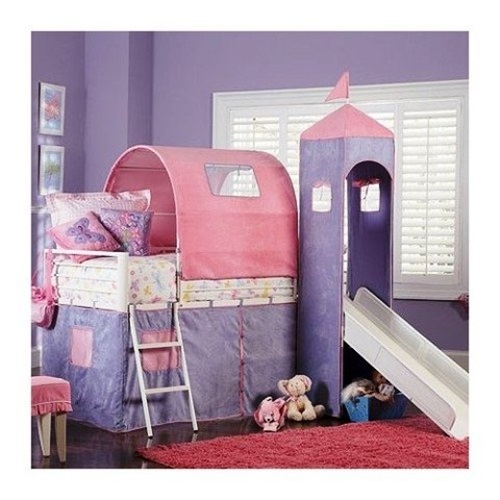 If your daughter wants a single color theme, use a mixture of purple and pink it will add a soft atmosphere to the room. If she wants a dark color, paint a wall with it and paint the other walls with lighter ones. This will add balance to the room and it will make it look lighter. 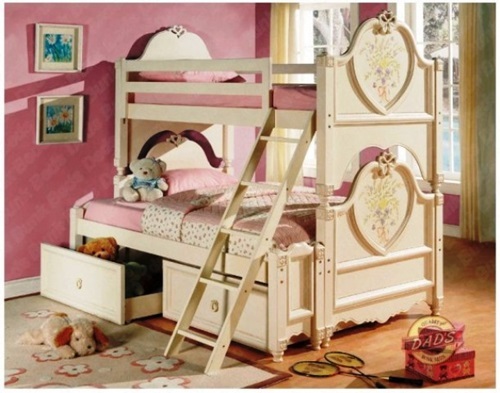 A girl’s bedroom is her sanctuary so choose the correct design and colors. 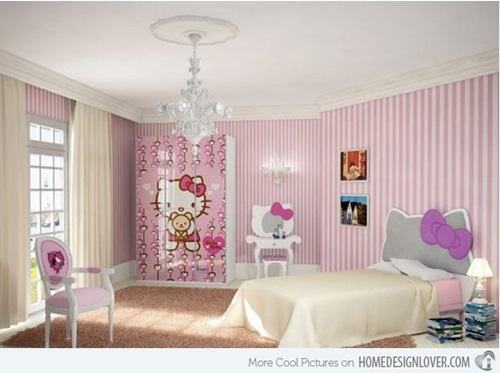 The room should reflect her personality and it should motivate and inspire her. It is thrilling to the girl to try multiple colors. 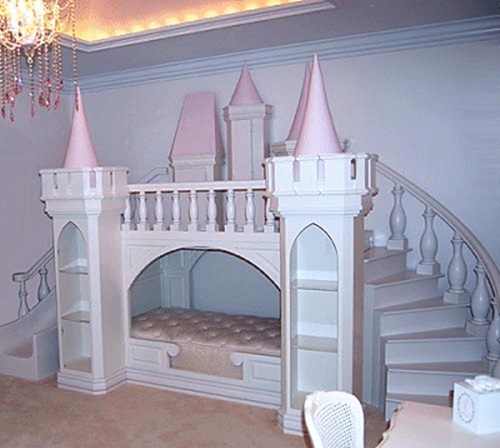 If your little lady is a dancer, design her room to look like a ballet studio. 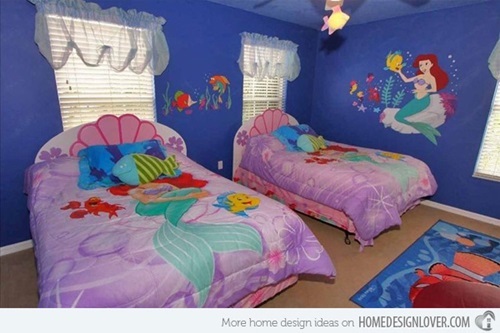 A beach theme is a great idea for your daughter room. Many teenagers love to walk along the beaches and go surfing. Use the color blue to present the water and for sand use brown. Your girl can participate in designing her room by painting sea gulls, waves and other sea creatures. For girls who love to travel. 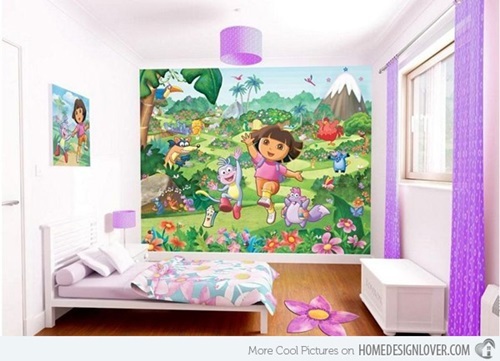 Paint each wall to represent one of her loved destinations, like the pyramids and Eifel tower. Finally, use the colors that your girl favorite and she will love it.